Parishioner Mary Etheridge sits with the completed quilts that will go to Sanford's Ava House to be given to children in hospice. Many thanks to Mary for purchasing the quilt tops and for Billie Taylor from Calvary Cathedral for sewing them. What a wonderful ministry this is. Ava’s House by Sanford, provides 24-hour nursing care to patients of all ages in a home-like environment. It will ensure that patients have a comforting place to turn when symptoms and pain are beyond the scope of care currently provided at the Sanford Hospice Cottages or delivered in the hospital, long-term care facilities or in-home settings. Ava's House will feature 16 adult patient rooms and 4 pediatric patient rooms. Honoring its namesake, Ava Holder, who passed away at 4 years old after a courageous battle against cancer, Ava’s House offers one of only four in-patient pediatric hospice programs in the country. Posted on April 10, 2018 by Tammy Briggs. Posted on March 27, 2018 by Tammy Briggs. Join us Sunday, March 25th at 8am and 10am for our Palm Sunday Liturgy. Posted on March 20, 2018 by Tammy Briggs. Please join us starting February 22 at 2pm for our Lenten Book Study. 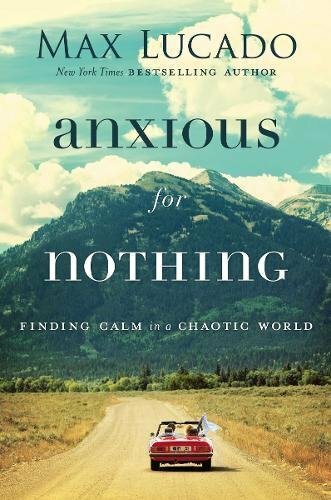 We will be reading and discussing Max Lucado's 'Anxious for Nothing: Finding Calm in a Chaotic World' which is available on Amazon or through the office (605.332.1474). Please call the office if you plan to attend. Posted on February 6, 2018 by Tammy Briggs. Join us starting February 21st for our Way of the Cross Lenten series beginning at 6pm with our soup and bread meal. The series will start after the dinner up in the Sanctuary with prayer, meditation and music. This has become a very popular series here at Good Shepherd. We hope you will join us! Youth Group and adult parishioners help stuff backpacks for Feeding South Dakota. We joined others on Tuesday evening, February 3rd, to load 27 pallets of food into backpacks that will be distributed to school children for the weekend to help insure they have healthy meals while school is not in session. Feeding South Dakota provides this service every weekend with the help of local volunteers. Posted on February 3, 2018 by Tammy Briggs. 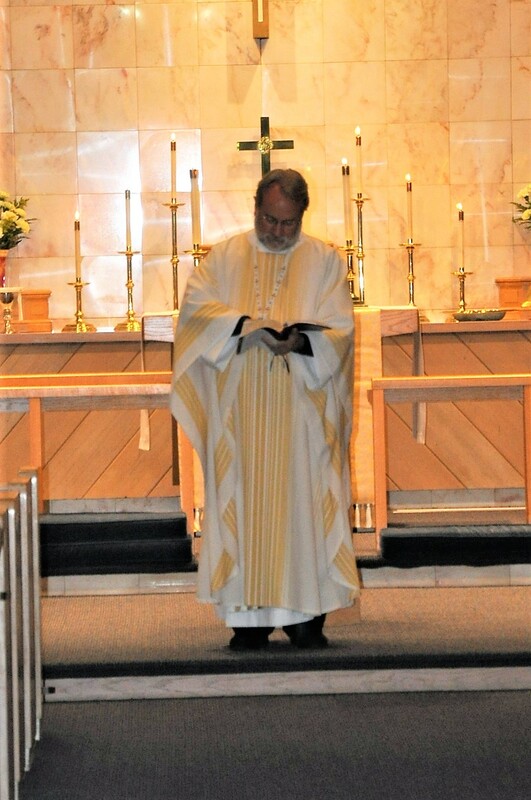 The Bishop made his annual visit to Good Shepherd and celebrated with us. As usual, his message was inspiring and delivered with passion and humor. 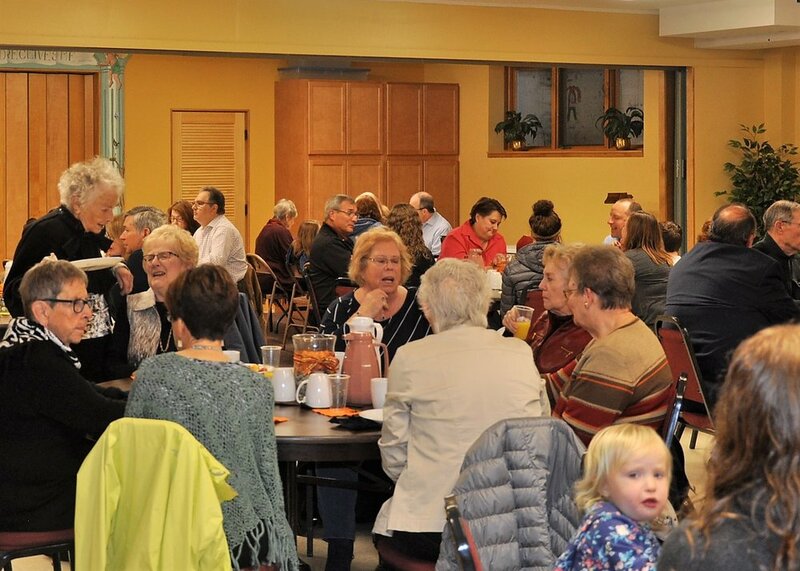 The celebration continued with a brunch enhanced by wonderful food and great company! Posted on November 1, 2017 by Tammy Briggs. Rev. O'Hara featured on SDPB's In the Moment! Our own Rev. Christina Swenson O'Hara was recently featured on an episode of South Dakota Public Broadcasting's In the Moment for a discussion titled "Faith in Public Life." Posted on October 4, 2017 by Tammy Briggs.